EEVblog #954 - How To Setup An Electronics Lab For $300 $500 did it in 2015! pretty much all dont ship to aus. I don't own either but if "jewelers/dentists" use them then they must work. There has been a lot of discussions on these here. I do not know the links. Agree with Fungus, nail clippers is what I use constantly. It doesn't last long if you have a lot to do, but is cheap and everywhere. Neither do those $1.50 side cutters. 0.3mm solder is a bit small for my liking, especially with marginal flux content chinese stuff. 0.6-0.8 probably better. But that said I'm currently using a spool of "Best" brand 0.4mm which is fairly decent. Flux pen... matter of preference perhaps, but I use syringe paste flux (knock off Amtech brand all over the usual pkaces). Magnifier and microscope... I'd put those at the end of the list, if your vision is any good somebody who is "setting up an electronics lab" is probably not at the level where they are going to be using components small enough to need magnification beyond a magnifying glass from the local $2 shop. I would take the money from the magnification stuff and put it towards a hot air station first (perhaps instead of the iron suggested, get one with hot air as well), far more essential and useful if dealing with surface mount, and even beginners are going to deal with surface mount (and should, because it's easier) - or at the very least, for shrinking heatshrink. I would also try and squeeze out another $5 for a cheap 8ch logic analyzer, and use it with sigrok open source logic analyzer software. I get more use out of the LA than out of a scope, being digitally minded. Mine are more like the set below from in Daves link but without the LED, there where very few with LED's when I bought mine. Occasionally you need the additional roll down lense for reading poorly printed #'s on the likes of SOT-23. The other type I was advised against as there's no horizontal adjustment to get the lenses adjusted to a proper stereo vision that at the higher magnifications you want. Focal length can be the issue with these, these are not so bad @320mm but many are 400. I've looked long and hard at these too but the only 3x or a little more is not enough for the very fine work when you want them. Daves USB camera looks a better and cheaper solution for when you really need it. for more videos maybe have a best for digital or best for analog lab setup. A semiflush or shear cut is much more appropriate for everyday use and will be far more robust, important when you aren't buying a hardened steel tool. I've been using a magnifying glass on a flexible gooseneck. It is OK but without stereo it can take some adjustment to line up the solder the iron and the joint depths. 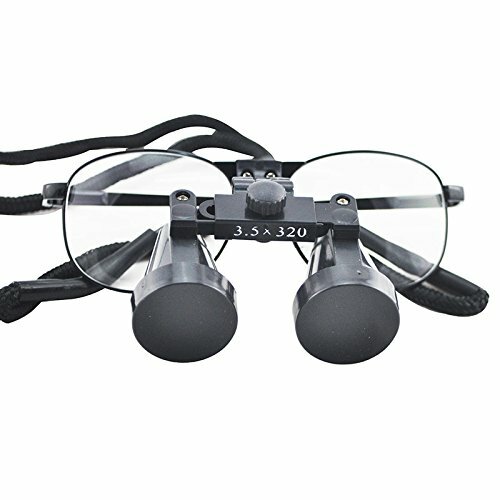 Fine for my occasional work but I really would like to here more feedback about these stereo eyepieces. How they work over spectacles and what magnification and working distance is best since it might get tiring leaning down to the bench where the PCB is. If the working distance is too short. I have CCFL lit gooseneck magnifier too, it's probably the same as yours......ex Jaycar but they don't do that model now. When I need additional light I use it but not often. For nearly all use a headband unit is fine even for my aging eyes and just for fun I tried some $2 2x specs under them just now. Only the focal length seemed to change and for 1.5x (one lense) the range of focal length was much wider without specs (100-300mm). 2 lenses was a lot different, the focal length was 150-200mm, specs or not. But that might only apply for me, my long sight is still great, it's just my arms aren't long enough for close work now. IMHO a low end soldering iron from an A-brand will be a good investment even if it means not getting the USB microscope and/or head magnifier. So what A brand would you get? BigClive has the best info on low-end soldering stations yet, it's good to watch a smooth technique, and this guy's the real deal. 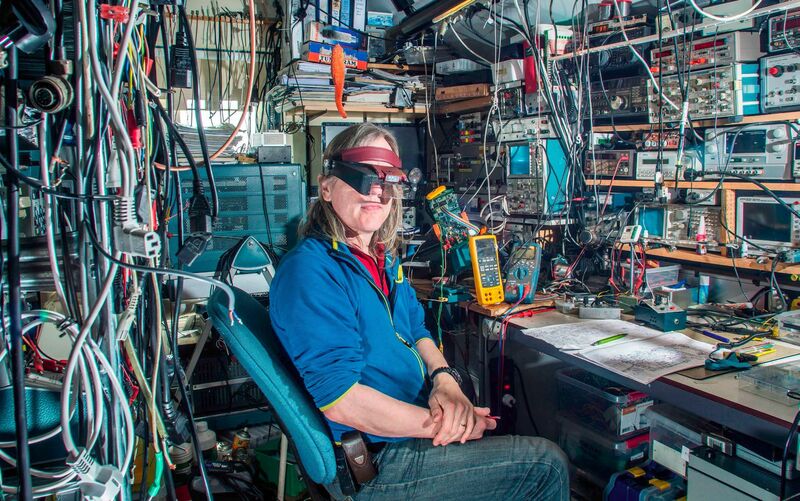 Personal defense dept: When traveling, I bet he sleeps with a soldering iron under his pillow..
Start with a project and build your lab around that. At least come up with a list of stuff you want to be able to do and think about what is required for that before you start buying stuff. Don't find out the cheap stuff you bought first isn't up to the task when you actually need to use it. Yep. I wouldn't have said a microscope is essential for a newbie. Magnifying glass, yes, but not microscope. Whatever you get in the way of magnification, make sure it is NOT hand held. Hands-on electronics requires 3 hands a lot of the time, which is doable. Finding a fourth hand will be a challenge. 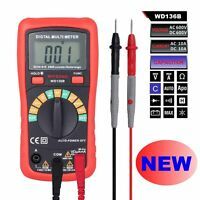 A transistor-tester is good value at $15AU. measure caps and inductors, and identify the pinouts and basic parameters of bjts, diodes, mosfets and - importantly if they're still working after being wired up incorrectly and after accidental over-current or ESD. It also helps free up the multi-meter for some tasks, so the meter can remain hooked up to a circuit. I really like seeing the signal-generator mentioned. Everyone has an intuition about what an oscilloscope does - measure signals in the time-domain. But sig-gens kind of need to be demystified since they're so damn useful. cheap goose-neck magnifying glass yes it is made with glass. 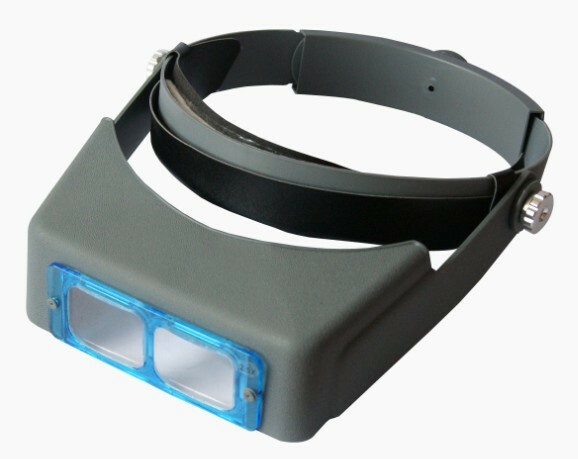 & has 18 warm white LEDs gives true 2X stereoscopic binocular vision and its also cheap at $25AU . went out and got a second unit in 2015. their that good to use. kids love em. optimum binocular focus is at 180mm , 100mm from the lens to the work. unfortunately some of the LED's are now failing in 2016. as the 5volt at 800ma plug-pack drive is too high. so I added a diode as an inline voltage droper. note- avoid magnifying plastic lenses, the first clean of a plastic lens will scratch it. I do not like Cold bluey white LED's. most of the white framed glass lens magnifyers with a ring of 18 or more LED's are not cheap. as their made for dermatology work. IMO you need minimum of 8 or more LED's in your magnifying glass ring for electronics work. cheap $20AU USB microscope is for SMD type work, and image capture. but I also use the big magnifying glass too. cheap $8 all in one component tester is also a must IMO then add some leads to it. Depends a lot on how good your eyesight is. many years ago I used to be able to rework a 0.5mm QFP with nothing more than a bright bench light but nowadays need magnification for most SMD work. I've yet to find a decent head-mounted magnifier ( for use when I'm not near a Mantis) - the few I've tried so far either have too much magnification or unsuitable working distance/FOV. Depends a lot on how good your eyesight is. many years ago I used to be able to rework a 0.5mm QFP with nothing more than a bright bench light but nowadays need magnification for most SMD work. Two scalpel for cutting PCB traces and plastic. 10W resistors, a few pieces, few value between 1-100 Ohm. Fire extinguisher and first aid kit. No I'm not kidding. If you're on a very fixed budget, then the most important thing after the basics is to leave spare cash for stuff you find you need once you start doing things. Over here Ersa is easy to get and according to my experience better than Weller and JBC but either way it will take a major part of the budget. Then again: without a good soldering iron you can't really do anything with electronics. 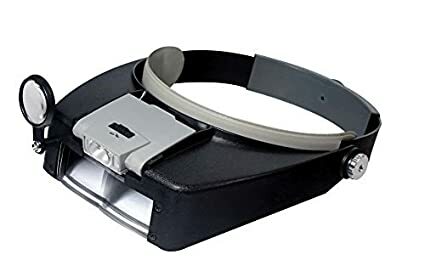 Regarding lighting and magnification: a magnifier lamp provides both but you'll need to get one with a lense of 5 diopter. It is my impression that all those Hakko clone soldering stations have picked up in price. Some time ago you could find them on ebay for $15-25, but nowadays the sell for around $40 or more. $18 + $9 shipping from Hobbyking in the US. I really want one now! Please Dave, have the eevblog dmm (the next one) with holster color options! You can't find it at this price at the usual places like ebay or banggood. I started with an old analog 10 MHz scope and an old Fluke 77-III. I then made a powersupply with a LM317 and a LM337. A bit later I bought a second hand function generator and a griddipper (i used that a lot) There is one big advantage for having a sound electronics knowledge base, you can repair stuff and that is handy because broken test gear is cheap, often even for free. Buy gear when you need it, you do not have to buy everything at once and you can build instruments too. Besides the PSU(s), I builded a lot more, started with easy kits and later things became more complicated and often my own design, You can build things like L meter, C meter, counter, RF generators (upto 2GHz but the first was upto 15 MHz and very simple), powermeters, 2 spectrum analysers, a poor man "network analyser" , ESR meters etc. OK, today you can buy stuff for almost nothing in China but you learn a lot more from building your own stuff. About the sidecutters, I started with a cheapy, then bought a 30 euro knippex. I used that for 5 years until it became to bad to use. I never really liked it. I do not like cheap tools but I will never buy an expensive side cutter again. I took my cheapy, removed the plastic grips, it was rather soft iron so I could use some force to make the beaks parallel. Then made the jaws ultraflat and very sharp , heated the beaks redhot and then dipped it in oil. Now the steel is a lot harder and it cuts like a dream. I made new grips from a thick rubber hose. About soldering, after a few years and several cheap irons and station(a red weller) I bought a WS81 Weller solderstation, never regretted that. Wish I bought that instead of waisting money on the cheap junk. Not really surprising with that huge transformer in it. Just the shipping costs will kill any profit margin. Switch mode supply? Much more sensible. Have you posted this picture on the "pictures of your work bench" thread ? Yeah it looks the same to me. $24 with free shipping on Amazon. Hard to beat that -even if it is a Hakko clone. Nice find! Where does the actual "work" part happen? A side cutter is a precision tool that requires good care, no matter how good quality, or how expensive it is. It should only be used on "soft" materials, like copper, tinned copper and the like. It also shouldn't be used on wires above a certain thickness. The aforementioned Plato 170 has a 1mm diameter limit. I personally have 2 or 3 of those Plato cutters for cutting and stripping thin wires, but I also have some el-cheapo Chinese cutters for all other uses. "Can I borrow this tool? " "Sure. Let me order a new one, so when you return it, there is still one left which is working." I gave up on the 'electronics' side cutters decades ago. The edges are way too fragile and many components have iron-ish leads. I have a bunch of knipex side cutters in various sizes and I use the 125mm one for electronics only but after 25 years it is starting to show signs of wear even though it will still cuts wires not much thicker than a hair. I must be the only one here that does not like soldering stations. I have 2 of them collecting dust while I use cheap irons from Harbor Freight - less than $4 each. Not only that, you can make custom tips out of pieces of 6 ga copper buss wire for them. Just file it down the the profile you want, cut to length and install in the iron. They won't last terribly long without a surface plating, but who cares when you can make another one in a minute. You know a lot of us here are professionals, right? MacGyver stuff gets old real quick. The kind of lab PSU depicted in the video... evokes bad memories! I had two looking very closely like that. Probably many different chinese manufacturers share the kind of look, like often... anyway. Now I am known as sensitive to olfactory irritants. But those things were really beyond smelly. They gave me instant head ache that would only stop when I hauled them in the basement. There, I let them run on 50% power output (halogen lamps are handy ) for two weeks non stop, in hopes they'd lose some of the nasty stuff when warm. I am one of those who, once I got a soldering station, wondered why the hell I didn't get one YEARS before. ANd I wasn't using exactly el-cheapo Harbor Freight level irons. I've said it before, but for whatever reason I rarely see Xytronics stations mentioned on here. Are they not readily available outside the US? I've had mine for nearly 10 years now, still on the original tip, and the basic model like mine is about $50USD and there is a wire variety of tip sizes and shapes available for it, as well as repalcement aprts at a reasonable price. +1 I got by with a $60 Jaycar iron for years, upgrading to a temp controlled Soldering Station has been a revelation for me, and it was just a relatively cheap one too ($300 aud for combined 60w soldering station plus thru-hole desoldering tool). I cant imagine going back to the all-in one iron! I gave up on the 'electronics' side cutters decades ago. The edges are way too fragile and many components have iron-ish leads. You might want to consider buying a pair that either adds WC (Tungsten Carbide) to the steel, or uses Tungsten Carbide inserts in the jaws instead. Both Erem and Schmitz make them, and Schmitz* can't be beaten on price AFAIK for new. Not sure how often they'd come up vie eBay, but quality used pairs can be had if you're patient IME. And so long as you don't get crazy (try to cut wire that's way over the rated capacity), you won't have any nicks in the blades from tin plated steel leads. *Direct link to the Tungsten Carbide cutters they offer through their web-store. FWIW, they also sell through Amazon.de. If you have fairly big hands, and cut through reasonably thick wires upto 2.5mm diameter, then I would recommend the TRR-58-CHP, these are flush cutters on steroids, you can cut through 4 way 0.1" headers in one go, and trim those chunky PCB mount spade terminals. I use them for production trimming as you can usually trim two leads at a time, and it's much less effort due to better leverage. And because of the extra leverage, you can cut plastic (e.g. enclosure boxes) in a controlled fashion without shattering. I got mine ages ago from FArnell/Element14 when on special, but here's an amazon link, they are pretty common. Thanks to this thread I found out you can buy tungsten-steel nail-clippers. Three clippers, some side cutters, some scissors, a knife, a file, some tweezers, a thing that looks like it would strip wire really well, a bunch of prodding/scraping tools ... all for $7? Bigclive would never use a pillow. Right 3db, Who knew it was just a rolled-up ESD mat! Both Erem and Schmitz make them, and Schmitz* can't be beaten on price AFAIK for new. Interesting. I'm just wondering how easy it is to remove the springs which open the jaw. I hate that on cutters and pliers. You'd have to unscrew the joint on the Erems, assuming it's possible. On the Schmitz, it uses metal tabs on the inside of each handle/grip, so you can cut those off or even bend them enough until metal fatigue causes them to break off. "The stainless Tungsten clippers are perfect for cutting the lowest of nails with ease..."
I love a good test lead. 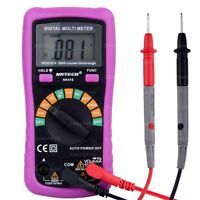 I have several sets of lovely multimeter probes that are so pointy I bleed almost every time I use them and at least one set with gorgeous flexy HV insulation that leaves me wanting more of the... ahem. What I have completely failed to find though, is some nice Spring Hook to Banana Plug test leads (as used in many a Dave video) at a reasonable price via the Usual Overseas Suspects. The megadollar Fluke kits are out there, but I'm hoping for a Good Enough off-brand one to make my PSU to CRO to DVM to Circuit Under Test a lot nicer than my current tangled web of dodgy crocodile clips. Links or less robust suggestions will be greatly appreciated. Franky sells them on his eBay store. Good quality. I just recently purchased more. Thanks, but the ones I can see at that link are the little fragile ones. I'm after the larger and more robust ones like you often see in Dave's videos. They looked ok to me, I just bought a bunch of them and banana cables from him. I can vouch for them. I have quite a few and am more than happy. Probemaster may be worth investigating (i.e. 9000 series for what you're after), particularly if you need/want more than one set of test leads (they're located in the US, but ship internationally). FWIW, the tips on these are sharp enough to make you bleed as well (their Spring Loaded Tips in particular). For leads from a lab grade PSU to DUT, I've come across some banana to crocodile/alligator test leads (silicone wire) that might be of interest (here). I bought some off franky last week. Think i just need the grabber to grabber or croc myself. Close. They sell them for 6.75USD (length = 12in, but longer is possible at a nominal fee).